Team Building Activities in Las Vegas: Our corporate team building activities are a fun, engaging, and interactive experiences. Put simply, team building is anything you do with your team to build bonds and bring people closer together. While the phrase is traditionally applied to corporate or work groups – any group of people can participate in a team building activity! Any social bonding experience can be a team building activity. Why? Because when employees spend time together, they will inevitably get to know each other better and develop better working relationships. Whether your company leaders are organizing an event for staff to mingle and socialize, or employees take it upon themselves to get together and do something fun – team building can really happen anytime, anywhere. Even when you least suspect it! In fact, you’re probably already doing some form of team building already. It can be as simple as a staff potluck lunch that you organize in your office break-room, or a movie night that employees decide to attend after work. Indoor Team Building – Activities you can do right in your office or meeting space. Social & Networking Team Building – Icebreaker activities and events that are designed to help people get to know each other better. 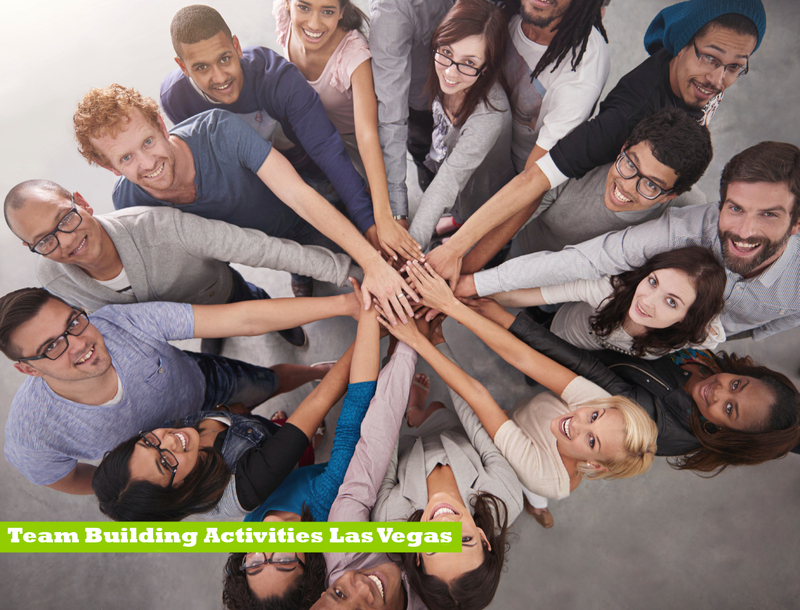 Why are Team Building Activities Las Vegas Important in the Workplace? Organizations with highly engaged employees achieve 2.5X more revenue compared to organizations with low engagement. Organizations who increase their employee engagement by just 5% typically experience revenue growth of 3% the following year. 46% of professionals found work friendships to be an integral part of their overall happiness.